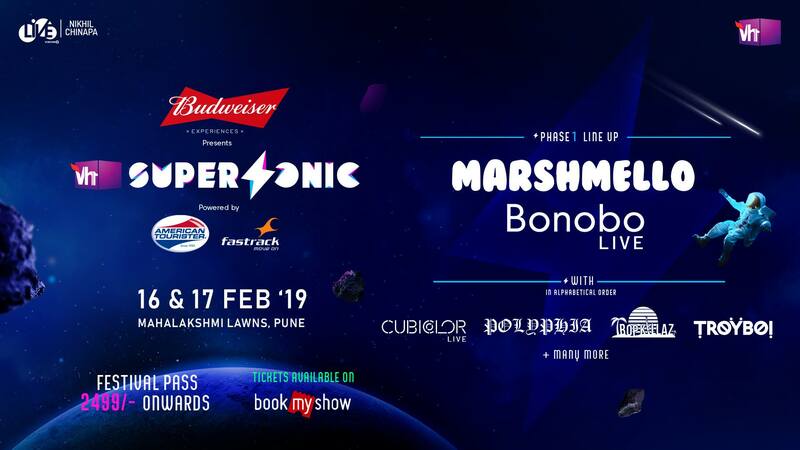 From its rise in 2013, the Vh1 Supersonic Festival continues to spread its influence across India with world class international DJs and groundbreaking performances. Across the years, this power festival in India has taken drastic approaches to a variety of musical genres; providing a space for the cultural mass to come together with world class EDM, Hip-hop, to Indie Rock. Enjoy one of the most renowned Indian music festival over 2 days with your favorite artists across 4 stages, experimental zones, and cutting edge production by the pioneering teams of India, all in the beautiful lands of Pune. This event has an age restriction. You must be 16 years or older to attend the event.